Boogie nights, bright lights and glitter glam! 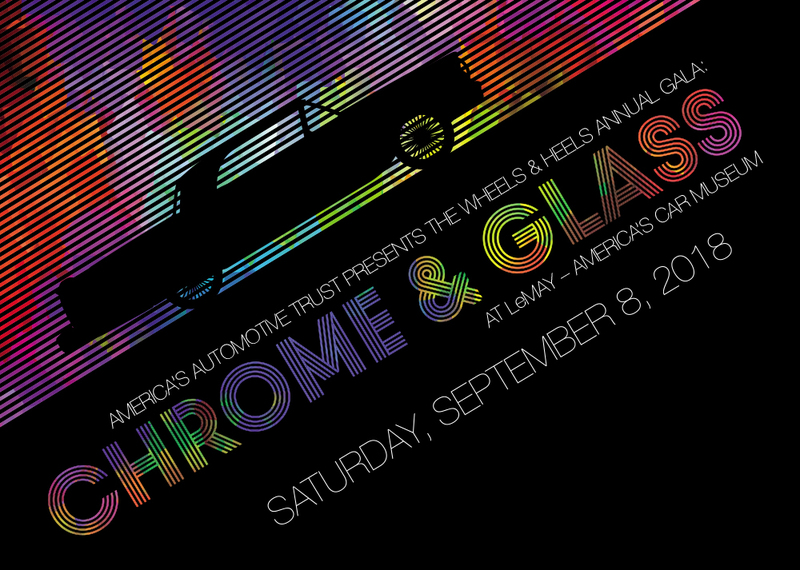 It’s all groovy at Chrome & Glass, this year’s Wheels & Heels Annual Gala with honorary chairs Dale and Leslie Chihuly. As part of the celebration, we will also present the Nicola Bulgari award to Bill Warner. Step beyond the velvet rope and experience America’s Automotive Trust‘s largest fundraiser in support of its commitment to preserving America’s automotive heritage through LeMay – America’s Car Museum, the RPM Foundation, Club Auto and the Concours Club. You’ll be surrounded by 17 rare and historically significant BMW motorsports vehicles while noshing on delicious, retro hors d’oeuvres and plated dinner by Tom Douglas Restaurants. Take part in our stellar silent and live auction with far out items and experiences. End the night with our DY-NO-MITE firework display and Montecristo cigar lounge. Guests are encouraged to wear 70’s inspired chic attire. *All tables seat eight guests. Click here to see photos from the 2017 Wheels & Heels Annual Gala.